Get answers to the questions, "Why isn't my business doing better? Why isn't this company making money? How can I make better profits?" 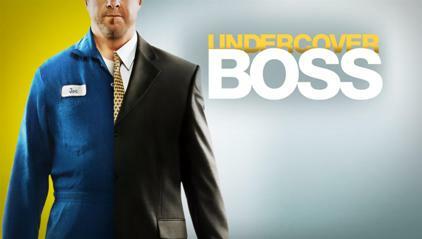 Apart from being a globally successful reality show, Undercover Boss is also a very effective means of discovering imperfections in your business operations. However, not every CEO can take time or be available to be an Undercover boss themselves, despite the need to always be vigilant for performance improvement opportunities. If you want the Undercover Boss outcomes, without the Undercover Boss effort, a Deficiency Analysis might be your performance improvement plan solution. 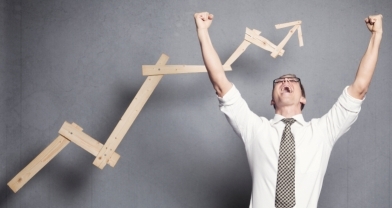 Why isn't your company, division or business unit doing better? Wouldn't you like to discretely check compliance to procedure? Morale of workers? Competence of Management? Discrete, subtle and covert business analysis, identifying any barriers to improving profits is a crucial first-step in the performance improvement planning process. Use a systematic process by which you covertly, but objectively, find out why a business is underperforming and identify paths (and hurdles) to profit growth. 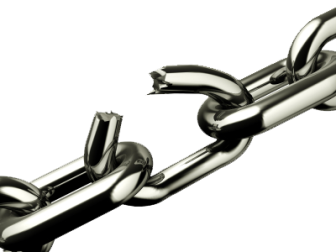 Deficiency analysis is identification of your business's weak points, the “Achilles Heel” within an organisation. In the context of a SWOT Analysis, it is a critical but unbiased identification of the Weaknesses of the organisation, for the sole purpose of isolating controllable variables that are interrupting the flow of growth, profit, sales, morale, goodwill, or any other sought after improvement that the organisation wishes to pursue. The benefits of Deficiency Analysis are significant! Identification of Deficiencies can save a company from a plethora of tragedies. Some of the benefits include saved market share, saved profit, extra growth, reduced staff turnover, improved staff moral, greater sales, better public image. What are the costs of Hidden Deficiencies? The cost of not having Deficiency Analysis is high: The longer you go without it, the higher the opportunity cost to the organisation. The ultimate cost is when a formerly profitable organisation becomes a loss business and is forced to close its doors… far more than the few thousand dollars that a Deficiency Analysis would cost to protect the company. If you’ve read this far, you must have a problem: This solves it. For simple piece of mind, to clear nagging doubt, or independently and objectively prove your suspicions order your Deficiency Analysis now. It is discrete - Presented as who we are, marketing strategists, it is justified that we need to understand the business to offer strategic advice. It is comprehensive - We drill down (and up) to the level/s within the business that offer/s the key opportunities for productivity & profit gain - whether it be coal face or boardroom. It is accurate - when we submit your report, it is valid and reliable. We can even offer forecasts of financial gain as a result of following recommendations. If everything is good, no one need ever know you've checked! Launch Engineering is known for marketing planning. Occasionally, our marketing planning projects are Deficiency Analysis in disguise. Regardless of findings, no one ever knows were weren't just doing a marketing planning, or some other strategic project... so you are free to discretely check competence of management. Anyone, required to exhibit Due Diligence in assessing a business unit. IMPORTANT: The "approach" varies according to sensitivities, "politics", budgets, goals, resources... AND according to industry, competitive positioning, supply-chain issues, trading partners, target audience, etc... if you're going to do it properly. Call or email to arrange an initial consultation & advice. Call 02 8011 4355 NOW. Years of management consulting, dealing with difficult business scenarios, led us to develop and refine this valuable management tool we call Deficiency Analysis; - finding out why a division or business unit is not 'performing'. Our proprietary methodology identifies significant factors causing poor performance, but also reveals business solutions to turnaround poor performance. A 'fringe benefit' of Deficiency Analysis and assessment, regardless of whether you have sales turnover between $10M and $1B, is it helps you find new and innovative strategies to make your activities more profitable. A Deficiency Analysis will reveal the true reasons why you business unit isn't 'firing' and will deliver the turnaround strategy & processes necessary to fix it. From a formal Marketing Audit to a "Discrete Insight Study" - you'll have the facts to fix a struggling business. Writing and implementing the marketing strategy for an established global pharmaceutical company after Deficiency Analysis helped identify a new path to expand the sales and brand penetration of a stagnating S2 brand. Deficiency Analysis revealed product portfolio and launch strategies that increased an FMCG business' sales by 33%. Mentoring a global dental products company, just a partial Deficiency Analysis contributed to international expansion and the brand's growth from annual sales of just $250K to over $10M. Deficiency Analysis demonstrated new opportunities for a stagnating publisher to formalise new product development procedures, building some successful new brands in the process. From retail to FMCG, professional services to industrial commodities, Launch Engineering will almost certainly determine the missing links to join you to sales, profits growth, and performance that may never even have previously been thought possible. Do you need Deficiency & Opportunity Analysis? Why isn't a particular business unit making money when it used to, or should? What has happened to the usual high performance results I'm used to? How are we going wrong? Is there REALLY a problem at all? If so, what? Can it be fixed? And How? What needs to happen to turn loss into profit? Are You Sure Your Organisation is at Peak Efficiency? If you have read this far, you may want to talk with someone who can assist you to squeeze more from your Marketing... Why not get started now... Just email us by clicking this button or fill out this form and a consultant will get back to you ASAP. Remember, "Procrastination is the thief of time" and the sooner you act, the sooner your Organisation will be humming at greater efficiency. nb: We guarantee 100% privacy. Your information will never be shared. There are over 100 pages on this site, dealing with everything from Corporate Marketing Governance and Internal Marketing, down to detailed information on Viral Marketing, Brand Management and great advertising.